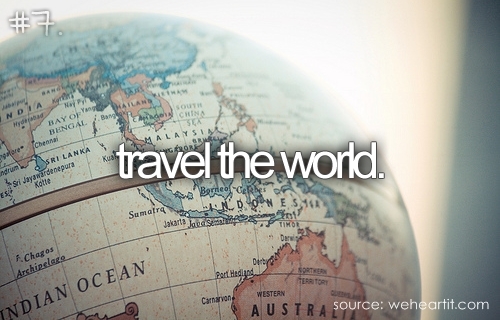 Traveling around the world is one of the many people wishlist across the world. Perhaps we are one of them, do we? Traveling around the world sustained less cost than divided into several sessions traveling. The secret is we have to be careful when planning and purchase of tickets for the best good deals. The cost we have to spend is more than worth it to get the experience of seeing a lot of places in a short time and memories of it as long as we can. Interested? Well here are tips to guide us how the best way traveling around the world. It will be cheaper if we come to the agency and bought a dozen tickets rather than one by one, we might have the privilege and great discounts for doing pretty much a purchase at one time. If you have a credit card for a discount or facilitate the redemption of use with its miles card, then use it. Passable really know to reduce the allocation of the cost of traveling. If where we live today is close to the country side, maybe we do not need a plane to reach them. 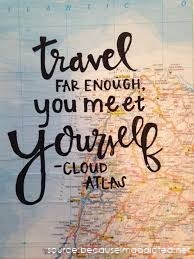 Better when we have a plan to traveling around the world, choose the nearest country. With consideration of our budget, so start our travel plan with a few of country near us sequentially. Although it is still important for us to ensure and listed what kind of transportation that we need to use. Maybe there is plane or ship and whether there is any transportation to get to our specific destinations such as cars, bicycles and etc? Make sure we have prepared a document to sign and traveled to a country, do not let this be our problem then became difficult for us because we do not carry corrected documents. Do not forget to bring your insurance card too, it is important as overseas travel insurance for the safer and more comfortable trip. If we are confused to choose travel overseas insurance products, we can research and browse at some online insurance supermarket. If we have friends or family who live in the country where we will visit so it will be easier for us to overcome the problem of where to stay. We could contact them and besides getting a ride somewhere to stay while we also get a good tour guide if they have a time to accompany us, if not then at least we can ask for correct advice, directions and transport what we can use to get to the destination. If we haven't any, it is better when as fast as we can we do research a hotel or inn where we have to stay. Hotels and inns for traveler stay doesn't need to be pricey but do not forget to check the testimonials of visitors, it would be better to choose a safe inns for newcomers like us. This may be a difficult thing to do for women, packing goods as they needed and not can be so complicated. Why? Because they think that every single thing was important. It's important for us to make sure our packing list many times before determining something to be taken or not. Overseas travel insurance card, cell phones, other gadgets and cameras could be categorized absolutely should be carried. And do not forget to bring an international charger so we can still charging wherever we need without not compatible plugs. Being traveler, does not mean that we lost in having fun without control. Remember that we're buying experience not only for shopping over when we got there. The most important thing is hotel or inn that we stay was quite comfortable and any food we have to buy and eat are clean enough so everything does not matter anymore, right? Of course we should have plan B if such a sudden we come to some unexpected condition on the trip.